Who doesn’t love a good heist movie? With Burgle Bros, Tim Fowers gives your table the chance to participate in a high stakes break in of your own. 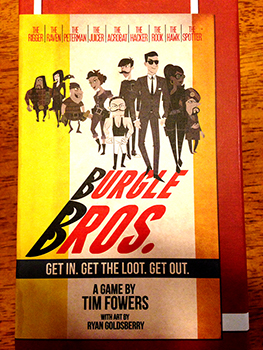 A cooperative game, Burgle Bros challenges 1-4 players to explore a 3 story building, finding and cracking a safe on each floor. This is made challenging by the roving guards patrolling each floor. Combined with an assortment of alarm tiles that trigger for a variety of reasons, the guards can be quite a thorn in your side. If any player is caught more than 3 times they are captured and rat the group out, resulting in a loss and a lengthy prison sentence. Gen Con 2017 is fast approaching, bringing with it a metric ton of board game news. Publishers have spent months constructing hype, teasing games to be released or mystery announcements to be made. While there will certainly be plenty of surprises, I’ve compiled my personal top 4 anticipated games based on what we know so far. This hidden movement game from the team behind War of the Ring has been floating near the top of my list since it was teased last year. 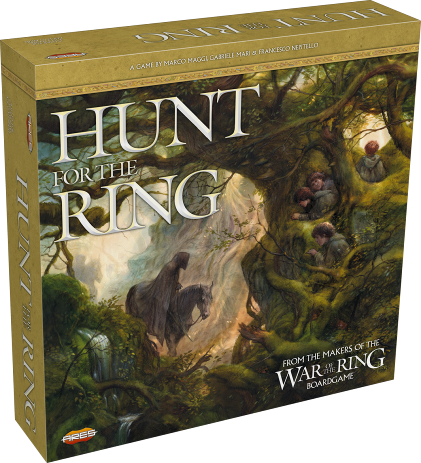 Where War of the Ring picks up Tolkien’s tale as the Fellowship departs Rivendell and war spreads across Middle Earth, Hunt for the Ring aims to tell the story of Frodo and his companions journey from the Shire to Rivendell. Previews have showcased plenty of twists on the hidden movement genre and based on my own experience with War of the Ring, I am looking forward to another game that expertly marries theme and game mechanics.